Yesterday, I wrote about Beauty and Fashion expert Jenn Cohn Falik (C'01). As we all know, sometimes you've got to work for beauty. And that work can find you in a gym. 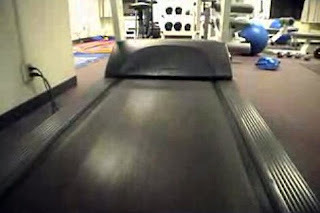 So on that note (yes I did hurt myself stretching for this one :) ), I recently got this class project video from Amin Osman (C'09) of what he found roaming around the gym in his Mayer Hall dorm at 3 am with a camera. As Amin puts it, "Trippiness ensues." Advertise on DT | Get the newsletter! | Join the DT Facebook Group! Penn's Campus Overtaken By These Animals? Penn in Cannes: She has to see HOW many films? !